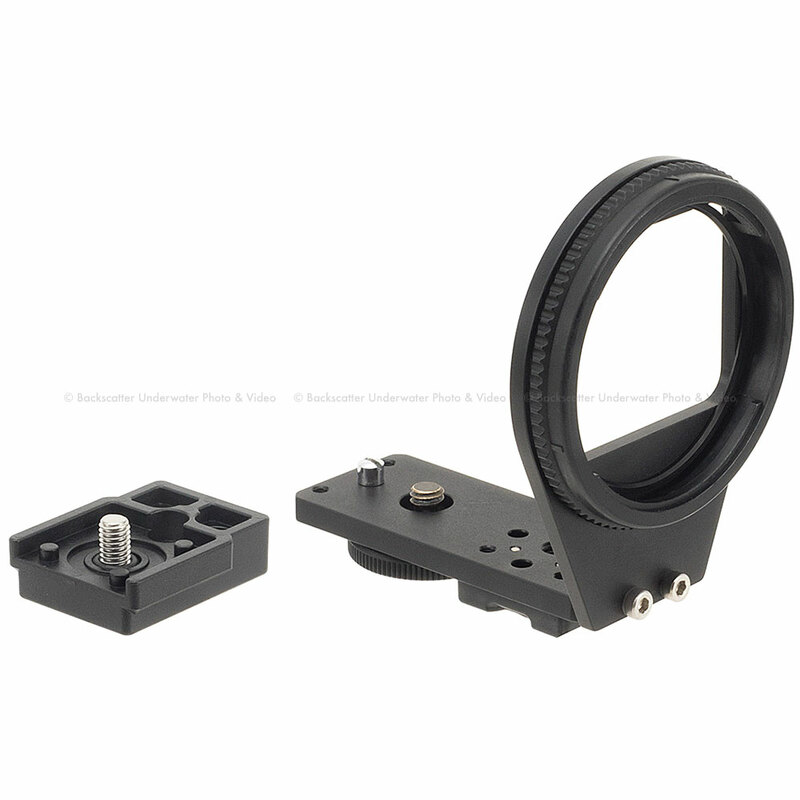 This mount base is required for use with the Inon LVR3 Underwater Monitor Housing. The Monitor Housing for LVR3 is a dedicated underwater housing to use Sony Live-View Remote RM-LVR3 which is bundled with Sony Action Cam FDR-X3000R / HDR-AS300R. The housing is attached on the SD Mount Base UWH1 providing live view when filming underwater. Packaged Shade Hood suppresses reflection of the monitor supporting comfortable visual contact even in bright conditions. The Shade Hood is removable as necessary. The Shade Hood is equipped with 360 degree rotatable flange to cut unnecessary ambient light from any direction. The lid has conventional M52 screw mount enabling to attach INON UCL-165 M67 / UCL-330 close-up lens via optional Step-up Ring 52-67 to magnify the monitor image. Attaching the UCL-165M67 magnifies monitor image by approx.15% and UCL-330 magnifies by approx.8%. Body material/finishing: Corrosion resistant aluminum alloy / rigid black alumite, PC etc.